I’m joining Initialized Capital, a venture fund that closed $115 million to invest in early-stage companies, as an operating partner. Initialized’s founder Garry Tan is a longtime friend who founded Posterous and was a partner at Y Combinator for five years, where he’s evaluated or helped thousands of companies. I don’t really know how else to say it, but Garry is just a really good soul. I’ve been able to call him at 6 or 7 a.m. with company or career issues. He’s an incredibly empathetic ear to founders, whatever their needs are and whenever they arise. You can read for yourself in the comments on Hacker News today. The firm we’re building with Reddit co-founder Alexis Ohanian is meant to provide the first check into a company. We’re about helping founders with their initial steps from managing their own psychology to making their first hires, and getting them to their next major milestones in engagement, growth, and profitability. Why am I doing this personally? I wanted to take a more active role in industry, advocacy and service. This is somewhat of a tradition in my family, which has worked in Silicon Valley for more than 60 years — from the region’s early days as a hub for basic scientific research to its emergence as a global capital for some of the most influential and valuable companies in the world. My grandfather designed the atomic clocks that proved parts of Einstein’s theory of relativity and created a safety system that prevented collisions of BART trains in his spare time in the 1970s. Every generation of my family has arrived in Silicon Valley without a lot money. My grandfather grew up during the Great Depression and dropped out of college for a decade in order to make ends meet before becoming a physicist. My mother read about Silicon Valley as a twenty-something Vietnamese war refugee in the late 1970s in an Australian business newspaper and then traveled across the United States in a Greyhound bus to get here. Garry shares a similar history. He grew up in Fremont, where his father worked as a foreman in a contract machine shop and his mother worked as a nursing assistant. And so, even though I’m sometimes very critical of what companies do and how they behave, I’m ultimately a believer in the power and capacity of the technology industry to create socioeconomic mobility and opportunity. In fact, a week and a half ago, I gave a talk at Stanford University at an event after one of my favorite economists, Raj Chetty. He showed maps of the United States and the Bay Area — about the chances a child has to move from the bottom income quintile to the top one. 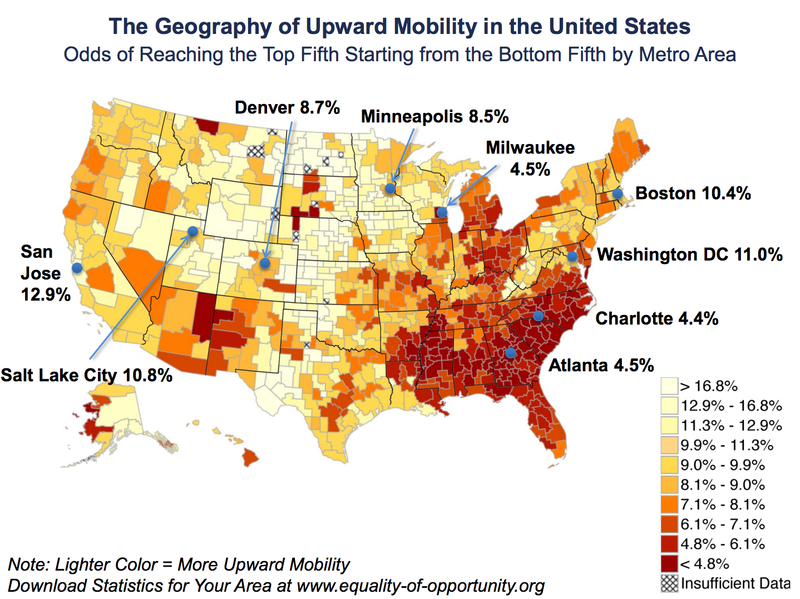 If you zoom in and look at the Bay Area, the upward mobility rates are phenomenal relative to the rest of the United States. 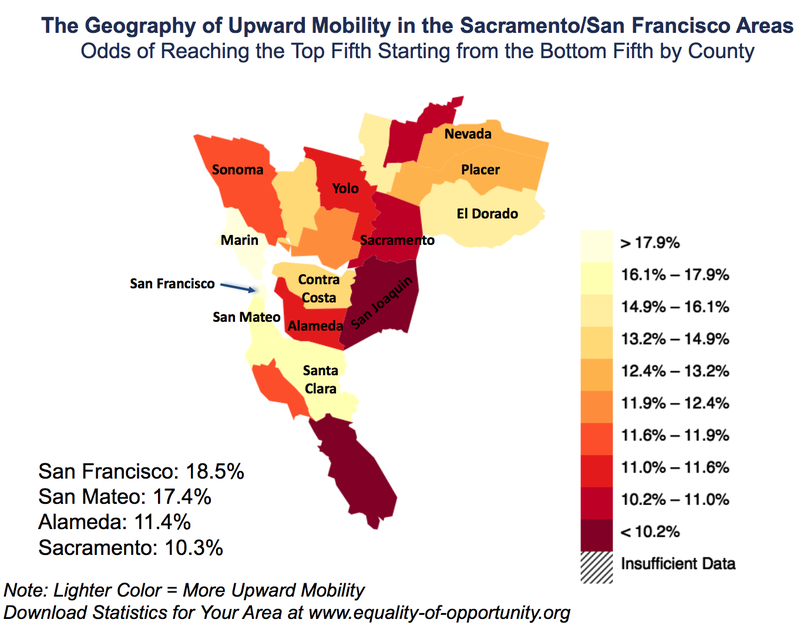 In San Francisco and San Mateo County, they are more than double the United States’ national rate of economic mobility. And so, we have to keep this economic engine going, especially as demographic shifts and aging are slowing overall U.S. GDP growth to a “new normal” and as the rate of startup formation nationally has fallen to a near record low. At the same time, we have to make sure that our region’s governance, policy frameworks and public finance structures continue to evolve in a way that includes everyone. Even though I’ll be working for a firm, you won’t be seeing me shy away from these conversations. I view public discourse, dissent and conflict as signs of a healthy and open society. I’ll still be doing medium to long-form writing on regional issues, along with some advocacy and service. Next month, I have a cover story in San Francisco Magazine on the lull in Bay Area real estate and funding markets and what that means. And I’ll be writing on Initialized Capital’s blog too, with a mix of tactical advice for entrepreneurs and conversations about how the industry fits more broadly into society and culture. If you have something you’d like to share or explore, let us know!